Sonoma Mountain was part of the ancestral homeland of the Coast Miwok people, and figured prominently in their creation story. Since its creation the face of Sonoma Mountain has been transformed by both natural forces and human endeavors. Native peoples hunted and fished; they pruned the oak trees to bring abundant acorn harvests; they tended plants to provide material for elaborate baskets; and they used fire as a tool to keep the land open and provide plentiful forage for deer, elk and antelope. Two centuries ago the mountain was more open than it is today, and supported a rich mosaic of grasslands, chaparral, oak woodland, redwood groves, stands of Douglas fir and other mixed forest. With the arrival of Europeans in the early 1800s, southern Sonoma County became the farthest outpost of the Spanish Empire, facing the Russian settlements along the Sonoma Coast. After Mexico gained independence, Sonoma Mountain was at the center of the vast landholdings of General Mariano Vallejo. Historic buildings of that period have been preserved at the Petaluma Adobe and Sonoma Barracks, both part of State Historic Parks. The Mexican settlement in 1823 brought dramatic change: General Vallejo built the second sawmill in California near present-day Glen ellen. Large redwoods and Douglas firs on the eastern slopes became timber for the growing pueblo of Sonoma. On the west side of the mountain, Vallejo built his Petaluma Adobe and ran huge herds of cattle as well as sheep and horses. The late 1840s brought California’s brief independence (the Bear Flag Rebellion of 1846), then annexation to the United States, followed by the Gold Rush, which brought thousands of newcomers to Northern California. Homesteaders and ranchers came to Sonoma Mountain, which also saw some mining activity for coal and other minerals during that period. New immigrants worked at Vallejo’s mill, or made shingles and fence posts; others, perhaps arriving by wagon train, tried to farm the slopes of the mountain, cleared by logging. During the Gold Rush the mountain supplied lumber for San Francisco but by 1855 the timber had been mostly logged off and the lumberjacks and mill hands moved on. In the early 1900s, writer Jack London purchased and lived on a large ranch on northeastern Sonoma Mountain. His ranch is preserved as Jack London State Historic Park, whose 800 acres account for the only public parkland on the mountain at present. In the mid-19th century the foothills were described as “covered with cattle at all seasons”. Tanneries girdled the tan oaks for their bark and left whole forests dead and standing. 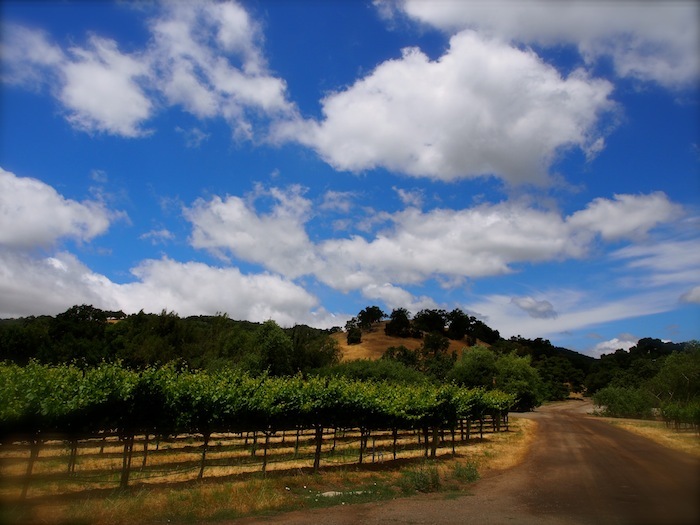 Settlers planted vineyards on the the slopes and dammed streams to provide water for Glen Ellen and El Verano. One of the first fish hatcheries in the state began on Graham Creek in 1880. With the arrival of the railroads, settlers cut oak and madrone in greater numbers and shipped huge quantities of charcoal and firewood to San Francisco for heating and cooking. By 1900 the upper mountain was almost devoid of trees. Jack London described the area at that time as “poor, worked-out, eroded hillsides.” The bankrupt farmers who sold him their land had given up and “lost their money, broken their hearts, lost their land” according to London. His dream, only partly realized when he died in 1916, was to restore the land and develop his Beauty Ranch into a model farm. In the second half of the 20th century land use on Sonoma Mountain slowly changed again. The last large-scale logging took place in 1955. Today forests once more cover most of the eastern slopes. The first protection of mountain lands came with the creation of Jack London State Park in 1961. In the 1990s concern that encircling development was turning the mountain into a biological island led to the creation of the Wildlife Corridor connecting it to the Mayacamas Range to the east. Once again Sonoma Mountain is being seen as a central point, appreciated not so much for its tangible resources as for its value as a wild treasure at the heart of southern Sonoma County. Like Jack London, Sonoma Mountain Preservation hopes “to leave the land better” for future generations.